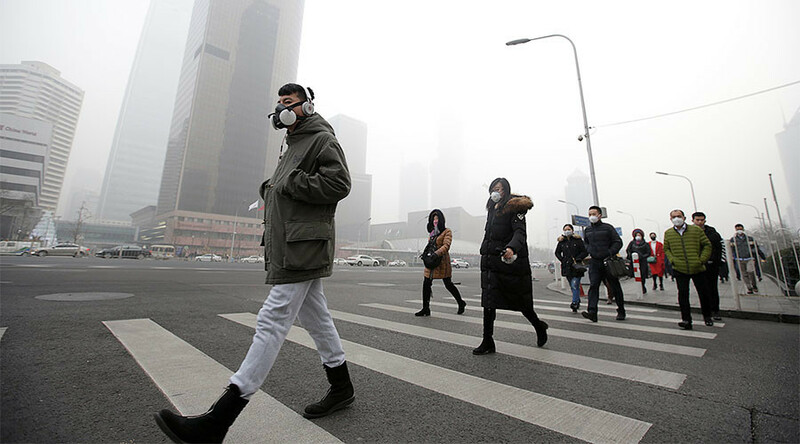 China detained 720 people and imposed fines totaling $63.6 million last year as part of its ‘war on pollution,’ according to state media. The arrests and fines took place following random inspections and public tip-offs. The central government looked into 33,000 cases of potential violations of environmental protection laws in 2016, according to data disclosed at a national environment work conference, as cited by state news outlet Xinhua. Fines totaling 440 million yuan (US$63.6 million) were handed down, and 720 arrests were made. The inspections took place in several provinces and municipalities, including Beijing and Shanghai. The agency went on to state that the government refused 11 high-pollution and high-energy consuming projects in 2016, involving total investments of 97 billion yuan ($14 billion). It also said that 4.05 million high emission vehicles were taken off China's roads last year, which, in part, caused pollution levels to drop. It comes just one week after smog levels in China reached historic levels, with as many as 32 cities under ‘red alert’ - the country's most severe pollution warning. 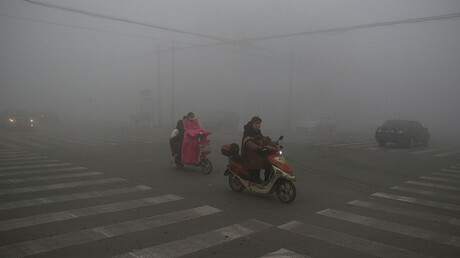 Two other red alerts in Beijing forced the closures of schools and factories in December, and half the city's cars being banned from the roads. Meanwhile, the central government also put forth a national plan on environmental improvement for the 13th Five-Year Plan period (2016-2020) last month, which outlined detailed plans to tackle polluted air, water, and soil. In another attempt to combat its pollution problem, China - the world's largest consumer of coal - has also announced that the country will spend $360 billion on renewable energy projects, turning to solar and wind power. China's pollution has been blamed on a number of factors, most of them related to the country's rapid growth over the course of a few decades, and the lack of green technologies to handle such growth. Of all of the culprits, burning coal has been linked to the largest number of premature deaths - 366,000 in 2013. Beijing's levels are made worse by geography, as the city is bordered by the Xishan and Yanshan mountains. When a high pressure system moves in, air near Beijing's surface doesn't move up and over the mountains, but rather remains stagnant, becoming more and more polluted, according to AccuWeather. As a result, residents continue to breathe the bad air.